Casey Kasem passed away Sunday morning, and with him goes a great tradition of voice acting and radio hosting. Although most of the recent coverage of Kasem's life has focused on the legal battle between his children and widow over life support, his life deserves to be remembered, instead of his death. Kasem is known for his work as the host of American Top 40 for 23 years, but he also brought Shaggy to life in multiple Scooby Doo series and TV movies. He voiced Shaggy for over 30 years, both in the original Scooby-Doo, Where Are You? series from 1969-1972, and the What's New, Scooby-Doo? reboot from 2002-2005. 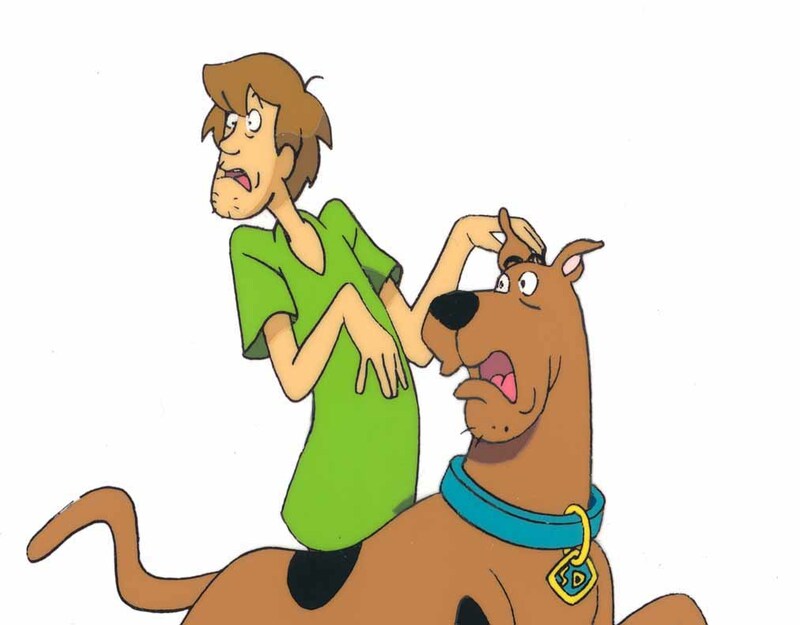 In addition to the two classic Scooby series, Casey voiced Shaggy for a number of the Scooby Doo TV movies, including favorites like Scooby-Doo and the Ghoul School , Scooby-Doo Meets the Boo Brothers and Scooby-Doo and the Reluctant Werewolf. His skillful voice-acting brought Shaggy's signature warble to life, and although others have attempted to copy it in subsequent cartoons and live-action movies, nobody quite captures his voice-cracks and giggles like the Kasem. In honor of his tireless contribution to the Scoobyverse, here are some of the things that make the original Shaggy such a swell guy. Nobody conjures a sandwich like Shaggy. Not even Scooby. Remember this? Scooby and Shaggy love eating so much, they recorded a song about it. Whenever He Yelled "Scooby Doo, where are you?" What a killer catchphrase for a show about two characters joined at the hip. I'm sure Casey Kasem got sick of recording this question each episode, but he did a fabulous job each time. Usually Fred gets to drive, while Shaggy and "the girls" navigate. But in this made-for-TV movie, Shaggy finally gets to drive, and he gets horribly lost. He gets bonus points for putting up with Scrappy, the most annoying puppy in cartoon history. In Scooby Doo world, being covered in white paint means you have turned into a ghost. If a chase gets too long or scary, Shaggy is always there to break up the action with puns and pratfalls. As a kid, I always appreciated his jokes, since they often marked the end of the cheesy '60s chase music. His Ability to Ride Scooby like a Horse...or a Motorcycle? Since Shaggy and Scooby are similarly sized, he often jumps in into Scooby's arms or hops on his back and rides him like a horse. But occasionally, if you're lucky, Scoob will transform into a magical motorcycle. Of course the Mystery Machine gang had to split up whenever they entered a scary house, castle, amusement park, or swamp, so that we could enjoy their separate paths. Although Shaggy and Scooby often broke out from the pack, there were a few times when Shaggy went missing on his own, and they were all golden. Shaggy and Scooby often tried to hide from monsters in disguise, and it's satisfying to see them pull off frilly 19th-century garb so well. If they could jump out the window WHY DIDN'T THEY JUST RUN AWAY?! Shaggy and Scoobs are the world's best man-dog buds. Bask in their adorably hugs and impossible high jinks. If you re-watch the original Scooby Doo, Where Are You? series as an adult, you'll see that Shaggy tries to protect Scooby more than you remembered. And occasionally, he even saves the day.